For the first time, players can experience the lands of WarCraft's Azeroth from a new, in-depth perspective. 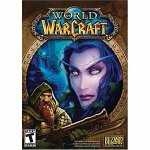 As heroes, they explore familiar battlefields, discover new lands, and take on epic quests and challenges in Blizzard's massively multiplayer online role-playing game. Blizzard has taken care to make the game accessible and fun both for hard-core 60-hour-a-week players and for more casual adventurers.